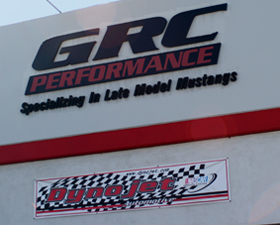 GRC Performance, located in the heart of Mission Viejo, California, is a 4000 square foot specialty shop supporting the sale and installation of high performance parts and accessories, as well as auto repair service, and maintenance, on Mustang, Ford GT, Camaro, Trans Am, Corvette, GTO, Viper, Panoz, A/C Cobra, Magnum, 300 C, Charger, Challenger, Ford trucks and SUV, Dodge trucks and SUV, GM trucks and SUV, as well as vintage muscle cars, restomods, and classics. Click on the logos above for vehicle specific services. GRC Performance maintains three four-point lifts and one drive on lift, as well as a Model 248x Dynojet chassis dyno, a full compliment of metal fabrication and welding equipment, the latest software and diagnostic equipment, and seasoned technicians capable of handling any level of chassis and drive-train modifications or auto repair services you may need or desire. 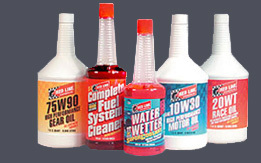 GRC will also support any of your general maintenance needs. 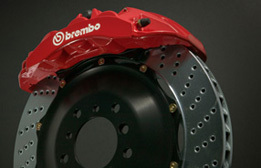 Whether it is a brake job, oil change, scheduled maintenance interval, or a major repair with stock components, you can depend on the fact that GRC Performance technicians have an understanding of your vehicle above and beyond the average general repair center. After years of installation experience with a large variety of aftermarket components, we realized the need for experienced technicians that could diagnose problems that may occur, but not necessarily appear in any standard shop manual. 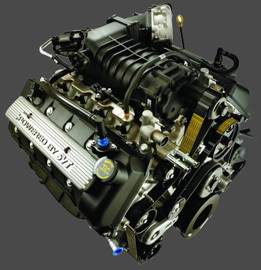 As a result, we have developed an auto repair and service database to help diagnose and resolve problems that are a result of modifying, or the failure of components in, modified vehicles. 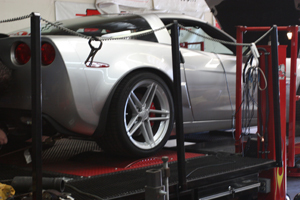 To ensure all your upgrades are performing the way they should, GRC is proud to offer dyno testing and computer and carburetor tuning of your vehicle featuring our DynoJet 1200 hp chassis dyno. With over 12 years of tuning experience using software such as Diablosport, Autologic, and HP Tuner, you can be sure the GRC team will deliver maximum performance and drivability, while still being as environmentally friendly as possible. 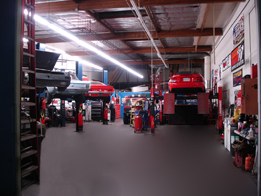 If you take pride in performing your own maintenance, repair, or high performance upgrades, give us a call or come visit our showroom, where we have the stock or high performance car parts you need in our inventory, or can get them the next day. The GRC team is anxious to help you reach your performance and maintenance goals. We look forward to working with you.